The Lagos Chairman of the All Progressives Congress (APC), Alhaji Tunde Balogun, on Tuesday said the recent defections of bigwigs of other parties to the APC were measures of the growing confidence in the party. Balogun made the statement in Ikeja, at the official reception for an ex-Peoples Democratic Party (PDP) bigwig, Mrs Remi Adiukwu-Bakare, and her supporters into APC. The party chairman said the coming of Adiukwu-Bakare, a few days after a former Chairman of the party, Mr. Moshood Salvador officially joined the party, was a big plus for the party. Balogun described the former commissioner as an accomplished politician who would add great value to the party. “People are moving into our party because of the growing confidence in APC. “This is the party to be; this is the party that means well for the people. This is the party of development. “Just on Saturday, a former Chairman of the PDP, Mr Moshood Salvador, officially joined us; here today, we are having another big fish in person of Mrs. Adiukwu-Bakare. “Tell me what remains of PDP; very soon, we will obliterate PDP from the state political map,” he said. In her remarks, Adiukwu-Bakare said she was delighted to be back in the fold of APC with her supporters. The politician said her coming to APC was motivated by the development the party had brought to the state and the positive politics of Asiwaju Bola Tinubu, national leader of the party. 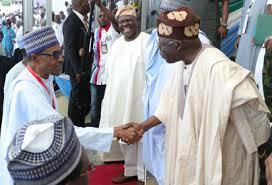 “I also came to the APC because of Alhaji Balogun, the party chairman, who plays pure and progressive politics. “I have known him for long. He is a simple and a fair person and I thought it would be great to be in APC and partner with him for progress,” she said. Similarly, National Chairman of Mega Party of Nigeria, Mr Dare Falade, and the state Chairman of the Democratic People’s Party (DPP), Mr Tajudeen Yunus, also officially joined the APC at the ceremony.